There are many students who are prepare civil services exams. 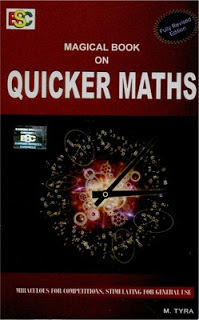 In this post I provide some best quality study material for all students who are prepare civil services exam like upsc IAS, IES, IPS and other exams. 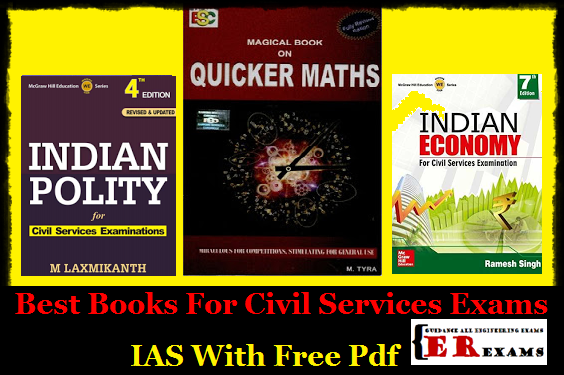 Here I am provide some best books civil services exam I hope you like these books. Divided into as many as 11 parts, the part one of the Indian Polity focuses on Indian constitutional framework while the part two sheds light on the system of the Government of India. The next three parts of the book provide details about the Central, State and Local Governments and their individual ways of governing while the sixth and seventh parts deal with the Constitutional Bodies and UTs of the India Union. Detailed information on non-constitutional bodies, other constitutional dimensions and working of the Indian constitution have been covered in rest of the parts. 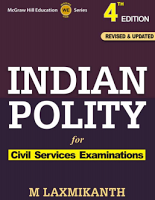 Apart from the detailed information concerning the various aspects of Indian politics, the book has a total of 71 chapters with 14 appendices. All chapters in the book are supplemented by a set of probable questions at the end. Those appearing for Civil Services Examinations can practice with these questions after having gone through the contents. Although primarily referred to as a good resource for those preparing for above mentioned examinations, the book has also been used extensively by the students of Law. In short, the book provides a birds’ eye view of numerous components of the Indian political system and the government. After having read the book, an aspirant may be able to go into the details of different topics separately. Available in paperback edition, it is published by Tata McGraw-Hill Education. 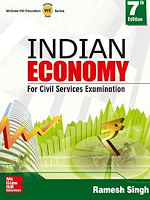 The fourth edition of this book by M Laxmikanth was published on July 1st, 2013. The fifth edition covers all the fundamental and advanced topics, supported by ample number of worked out examples, case lets and exercises. It also provides clarity and knowledge of the concepts and questions that are asked in various MBA entrance examinations such as XAT, SNAP, IIFT, IRMA, MAT, NMAT, etc.